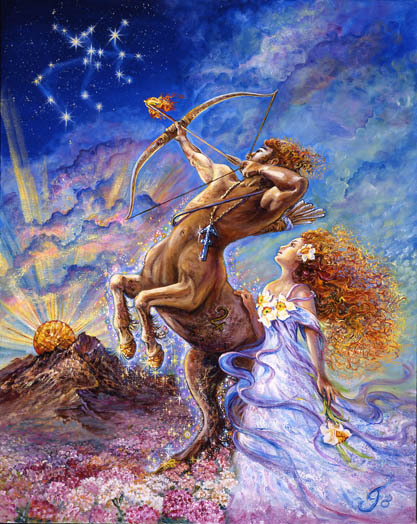 The fiery, optimistic and far reaching energy of Sagittarius is beautifully rendered in this gorgeous illustration. The Moon is in Sagittarius today – the early degrees having just moved into Sag this morning at 3:28 AM Eastern time. Ah! The Moon in Sag! This is fiery intellectual energy… pushing for more, wanting to expand and grow wherever it is, and then hopping to the next thing with confidence and optimism. Remember that the Moon describes what’s going on emotionally – so this emotional moment in time is one of enthusiasm, seeking justice, feeling good and wanting to explore. There’s a hefty dose of idealism in our hearts with this Lunar placement, especially if we naturally resonate to that sort of thing. Sag energy loves to be praised and to share its opinions… so you may find yourself either soap boxing or expected to listen to someone else waxing eloquent on their beliefs. Independence is a keynote of Sagittarius, and the need to run forward with an idea or a moral judgement can be in the air. Expect there to be some seeking for meaning going on and a bit of zealous sanctimoniousness could be witnessed as well. Mostly though, Sag wants to enjoy herself and to know that she’s here for a good, hopefully higher, reason – and that belief is extended to everyone else. There’s a lot of pleasure to be experienced when Luna passes through this happy sign, so tap into that! Today the Moon opposes Uranus – putting ants in our pants or creating the desire for something new and outside-the-box. She also opposes Jupiter, the Ruler of Sagittarius really expanding and exacerbating everything I wrote in the paragraph above, intensifying the natural tendencies of Sagittarius, so watch that you don’t overextend or get yourself overwhelmed. (Did I just do that by starting this column?? Yikes!) And today’s Moon also makes an opportunistic sextile to Mars – lending us extra, and possibly much needed energy, and jump-starting our ambition and desires to fulfill ourselves. If you’re a fiery person – with the Sun, Moon or other personal planets in the fire signs of Aries, Leo or Sagittarius, or an Airy person, with the Sun, Moon or other personal planets in Gemini, Libra, or Aquarius you’ll probably be feeling pretty pumped today. Your spirit can be validated and energized by this vibrant lunar encounter. 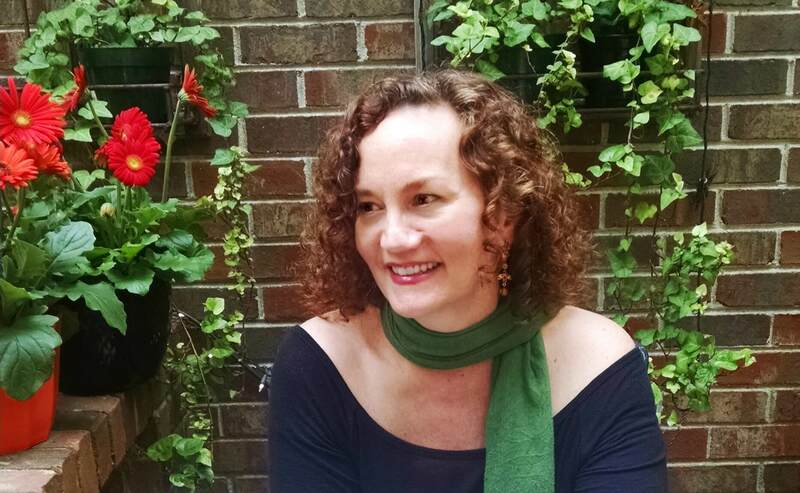 If you’re an earthy person – with the Sun, Moon or other personal planets in the earth signs of Taurus, Virgo or Capricorn, or a Watery sort with the Sun, Moon or other personal planets in Cancer, Scorpio or Pisces open up a bit to the Sagittarius optimism and let it lift you – energize you! It might make you feel outside of your routine or comfort zone a bit… but let it stretch you and see what’s possible! Please understand that it’s very challenging to gauge your responses to the current impacting energy without knowing and understanding your full birthchart… but opening up and finding your willingness to explore is the key for today. The Moon will be in Sagittarius until 3:54 AM Eastern time on January 10th when it moves into Capricorn. That’s when you get to put your responsible face on! A Herculean effort! This is great, Michelle. I’m tweeting and sharing. I emailed your birthchart to you Karen! See you tonight! So happy you liked it Val! I appreciate you letting me know! Whoot! Thank you CJ!! You’re always such a wonderful cheerleader!